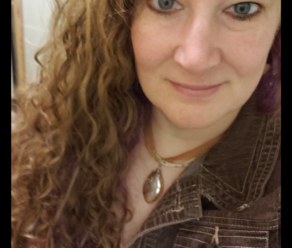 Brandy Madison – EDS Wisconsin, Inc.
I’m a Christian mom of 3 outstanding young men and a grandma to 2 beautiful grandchildren. As I grew up, I always knew something was wrong with my body. I eventually got sick of seeing doctors that made me feel as if I was dreaming up all my ailments or trying to seek attention and stopped going to all doctors until I was 36 and was barely functioning as a wife and mother. After seeing 9 different doctors, I finally saw a doctor that diagnosed me with EDS (hypermobility) when I was 38. My quest since that moment has been to educate everyone who will listen. If all my efforts result in just 1 person getting a diagnosis earlier and receiving the help they need (and not to feel unheard or unbelieved) then I would consider these last years to be a success. I am currently diagnosed with hEDS, MCAS, POTS and several dysautonomia things.